Printed Matter opened their new location on 11th Avenue last week, so I went to check it out with two of my friends before heading to dinner in Little Italy. The book store is filled with tons of art books by artists, as well as artwork for sale, and an exhibit which is currently Paper Rad: The Zines of Paper Rad. On the second floor of the book store, I found this 4.5 x 3-foot photo block by Allen Ruppersberg leaning against the wall. It’s called Too Many Books, and you can buy it for $2,000. 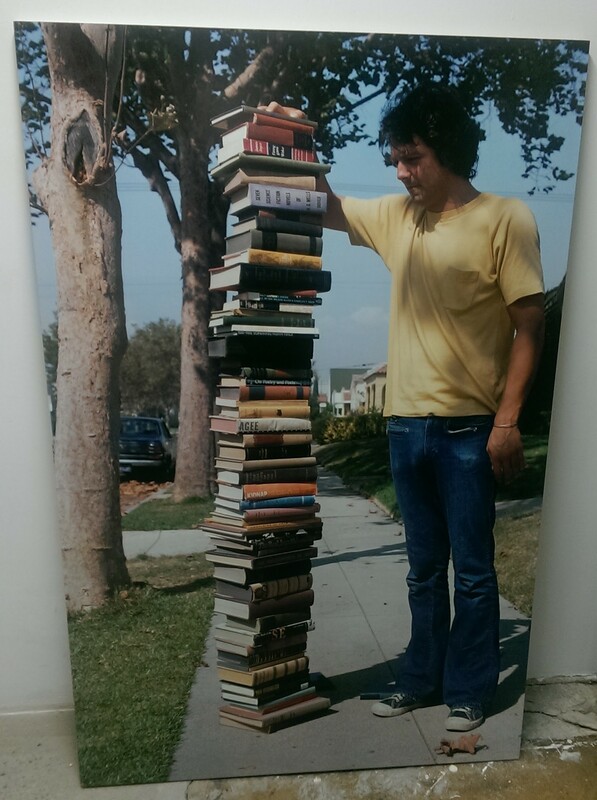 I wonder if the pile of books ever fell before the photo was taken. The books are piled almost as high as the guy in the photo, who looks about 5’7″ or 5’9″, so it must have been fun piling all those books up on the sidewalk. If you’re in Chelsea, be sure to check out Printed Matter’s new location!